Search Results for "vintage clothing"
Clothes fills suitcase up. Vintage camera and summer clothing. Go travelling this summer. Personal document and plane ticket. Striped top and blue pants. 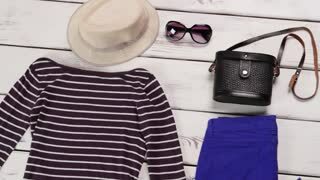 Woman's spring outfit on table. Reglan top with blue trousers. Female clothing and vintage purse. Mannequin in silver blouse turning. Dark lace skirt with handbag. Vintage leather purse and clothing. Woman's trendy garments on display. Ibiza, Spain - circa 1973: Two tourist women in vintage clothing playing with the sand on holiday on the beach of Bay of Portinatx in 70's. Vintage restored footage. Ivissa, Ibiza, Spain - circa 1973: Vintage restored panorama of Ivissa port town in seventies. Tourist family visiting the harbour in typical 70's vintage clothing. Mannequin in thin dress turning. Transparent dress with vintage purse. 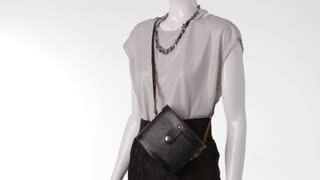 Dark purse and light clothing. Lady's new clothes in stock. Nassau, Bahamas - Circa 1978: Town port of Nassau with fishers on their fishing boats in 70's with vintage clothing. The historical Bahamas in 1970s. LONDON, UNITED KINGDOM - CIRCA 1979: Traditional British Royal Guard in red uniform marching at Tower of London castle. Historic restored footage on 1970s with vintage clothing. LONDON, UNITED KINGDOM - CIRCA 1979: Big Ben clock tower, Westminster Palace, Houses of Parliament, with people in typical vintage clothing. Historic restored footage on 1970s. LONDON, UNITED KINGDOM - CIRCA 1979: tourists in vintage clothing in the courtyard of Tower of London castle. Historic restored footage on 1970s. Ibiza, Spain - circa 1973: Restored footage of two funny tourist little boys on holiday playing with a soft ball in the sea of the beach of Bay of Portinatx in 70's. Typical vintage clothing. Malta island - circa 1970: Restored historical footage of a tourist little boy on holiday playing with the sand in the sea of the beach in 70's. Typical vintage clothing. Sant Josep, Ibiza, Spain - circa 1973: Restored historical footage of Sant Josep of Ibiza in seventies. The old church and the souvenir shops with tourists in typical 70's vintage clothing.